If you thought winters will not be as harsh as summers for your skin, think again. Drop in temperatures and low humidity levels result in dry air, which robs the skin of its natural moisture, resulting in brittle and dry skin. As the season changes, your skin undergoes various transitions for which you need to take precaution. Whether you have dry, oily or sensitive skin, you must take care of it. You don’t necessarily need to visit expensive beauty parlours for skincare treatment because you can get a flawless and glowing skin right at home! You’ll love these natural home remedies for winter skin care! Among all skin types, dry skin is the about the most tricky one to deal with. People with this skin type can develop wrinkles at an early age, mainly due to the lack of moisture, lifestyle and climatic conditions. Dry skin can also be caused due to thyroid disorders and allergic reactions to cosmetics. It provides excellent nourishment and prevents sagging. Simply apply a few drops of honey to your face and leave it for some time. Within a few weeks, you will see a great difference in your skin’s condition. This is one of the most excellent and effective dry skin care remedy. Drinking adequate water provides sufficient nourishment and prevents wrinkles. So, drink at least 3-4 litres daily. Before going to the bed, drink one glass of warm milk by adding a few drops of almond oil to it. This will give you smooth, baby soft skin. Milk contains natural fats that can add glow and shine to your face. Oils such as coconut, olive, sesame or avocado give great results. Gently massage with any of these oils in upward and circular motions to remove all dryness and keep it moisturised. Get a FREE consultation and personalised winter skincare plan from our experts today! Take some oatmeal in a bowl; add some honey and vitamin E capsules to it. Mix this well and massage it on your face with gentle upward and circular motions. Set apart 10 minutes every day for this process. Pick the ripest bananas and mash them into a paste. Add some sugar to this paste; rub it on the face in a circular motion. All the dry and dead skin cells will be scrubbed away by the sugar. Your skin will become smooth and silky. Mix some vanilla extract, oatmeal and baking soda in a bowl. Pour it into a bathtub full of warm water. Soak your body into it and enjoy the perfect nourishing experience. If you have a dry face, apply some Vaseline, massage it in circular motions for 15-20 minutes and rinse it off. Pat your face with a towel. You will be amazed to see your face becoming smooth. Dry skin needs cleansing only once in a day to prevent drying out, but it needs frequent moisturising. So, during the day use a sunscreen of SPF 30 and wear a night cream before sleeping. Don’t stay in shower for more than 10 minutes and use a mild soap. Use natural exfoliators such as citrus fruits, baking soda, salt and milk as they remove dead skin cells, revealing new skin cell beneath. Those with dry skin type must eat foods rich in antioxidants, including Vitamin A, B, C and E. Consume good fats like Omega-3 and Omega-6 fats to help your skin secrete more oil. Eating more of greens will also help your skin to gain more moisture. Avoid drinking too much of alcohol, coffee, soda or any other products high in caffeine. Those with oily skin usually have enlarged pores, blackheads and they also frequently experience pimples due to oil secretion from the skin. Also, when excessive sebum is released from sebaceous glands, it can cause acne. There are other reasons for the occurrence of acne like stress, puberty, hormonal changes and soaps. Below are some winter skincare home remedies and tips for oily skin. People with oily skin type my cleanse their face at least twice in a day – in the morning and before going to bed. Also, use oil-free and gel-based moisturisers once or maximum twice in a day. Use alcohol-based toner as it will help you get rid of excess oil, dirt and makeup. Avoid foods that contain excess sugar, processed, greasy and starchy foods. 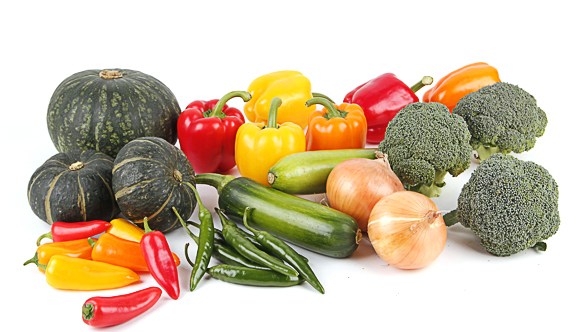 Eat healthy foods like vegetables, complex carbs and drink lots of water. Exercise every day for at least 45 minutes and control your stress levels. Yogurt contains lactic acid that helps in removing the oil from the skin and exfoliates the skin. You can either apply plain yogurt and wash it after some time with cold water or apply it in the form of buttermilk. Prepare a mixture of milk and sandalwood oil and massage your face for a few minutes. Leave it overnight and then wash it with warm water. This mixture works wonders for oily skin. This will cause your oil glands to pump out even more oil. Prepare a mixture of ground coffee and honey, and scrub it on your face. 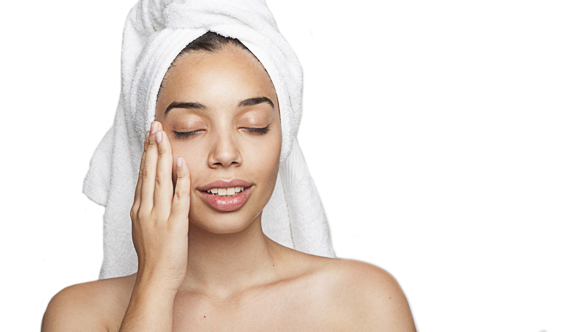 This homemade technique exfoliates oily skin well. Taking hot water steam helps in clearing oily skin and getting rid of all the dirt. Crush dry orange peel and add raw milk to form a paste. Apply it on your face and neck and leave it for 10 to 15 minutes. Clean it using cold water. Include egg whites in your winter skin care diet plan by applying it on your face; leave it for 15 to 20 minutes and later, wash it with warm water. You can also prepare a mixture of honey, oatmeal and egg white and apply it. Mash a boiled apple to prepare a paste. Add lemon juice, peppermint oil and lavender and apply it on face and neck. Wash your face after 5 minutes with warm water. Mix ground oatmeal with meshed papaya. This scrub is one of the best exfoliator and cleanser for oily skin. If you wish to get rid of oily skin without putting in much effort, try this home remedy. Buy an aloe vera plant – it is easy to grow. Select an older leaf, which you will find at the lower end of the plant. Slice it lengthwise and scoop out the gel; massage it gently onto your face. To enjoy its cosmetic benefits, apply the gel from the leaf to freshly washed skin. Allow it to dry. Other winter skin care home remedies for oily skin are banana, corn starch, ice cubes and gram flour. Avoid using too many skincare products. Increase the intake of vitamin B in your diet as it can help you to get rid of oily skin naturally. Sensitive skin reacts immediately to hot and spicy foods, so it’s best to avoid such foods completely. This is an important winter skin care tip as dryness is the underlying issue for people with sensitive skin type. Moisturising will hydrate your skin, soothe the redness and calm the irritation. Water-resistant sunscreens contain less chemicals, which means no irritation to your skin even in winter. Look for winter skin care products that are free from fragrances and paraben as both can cause irritation and acne. Use products with less than 10 ingredients for sensitive skin. At Health Total, we not only help you to get a glowing skin, but also help you manage better any skin-related problems through an integrated approach. It is easy to follow and includes homeopathic treatment, coupled with a nutritional plan and certain lifestyle modifications. Based on your overall health evaluation, our skin experts recommend a customised skin care plan. The programme is combined with a natural and nutritional meal plan that heals you from within, and the experts suggest certain lifestyle modifications that take you towards healthy well-being. Call on our toll-free number 1800 266 0607 and book an appointment with our experts for winter skin care plan!